One of the most interesting parts of the #MondayMusings series was the book recommendations each author provided as the core of their education in strategy. The list below is enough reading for anyone's lifetime...and a great life it would be. Economics is changing. In the last few years it has generated a number of new approaches. One of the most promising - complexity economics - was pioneered in the 1980s and 1990s by a small team at the Santa Fe Institute. 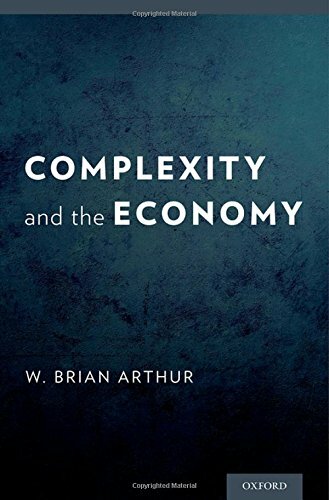 Economist and complexity theorist W. Brian Arthur led that team, and in this book he collects many of his articles on this new approach. The traditional framework sees behavior in the economy as in an equilibrium steady state. People in the economy face well-defined problems and use perfect deductive reasoning to base their actions on. The complexity framework, by contrast, sees the economy as always in process, always changing. People try to make sense of the situations they face using whatever reasoning they have at hand, and together create outcomes they must individually react to anew. The resulting economy is not a well-ordered machine, but a complex evolving system that is imperfect, perpetually constructing itself anew, and brimming with vitality. The new vision complements and widens the standard one, and it helps answer many questions: Why does the stock market show moods and a psychology? Why do high-tech markets tend to lock in to the dominance of one or two very large players? How do economies form, and how do they continually alter in structure over time? The papers collected here were among the first to use evolutionary computation, agent-based modeling, and cognitive psychology. They cover topics as disparate as how markets form out of beliefs; how technology evolves over the long span of time; why systems and bureaucracies get more complicated as they evolve; and how financial crises can be foreseen and prevented in the future. 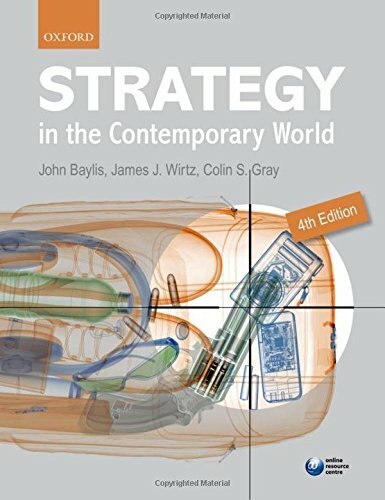 Strategy in the Contemporary World brings together world leading experts to provide a comprehensive introduction to the role of military power in today's world. The definitive textbook on the subject, the fifth edition explores both the enduring and historical issues which have shaped the study of strategy and the contemporary issues that dominate today's headlines.The new edition has been substantially updated to reflect the changing structure of global politics and rapid technological developments, with the inclusion of four brand new chapters: History of the Practice of Strategy, Geopolitics and Grand Strategy, Strategy and Defence Planning, and Theory and Practice of Continental Warfare. The team of leading contributors expose readers to a diversity of perspectives and voices, and in each chapter a debate box is employed to explore the opposing arguments around key controversies. In Anthony Burgess's nightmare vision of the future, where the criminals take over after dark, the story is told by the central character, Alex, who talks in a brutal invented slang that brilliantly renders his and his friends' social pathology. 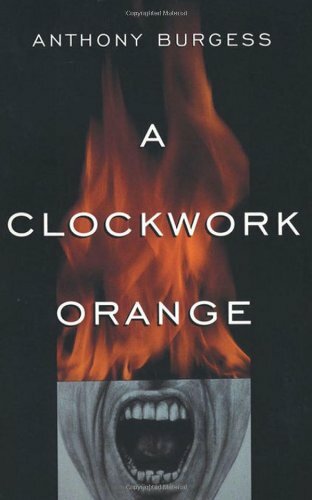 A Clockwork Orange is a frightening fable about good and evil, and the meaning of human freedom. When the state undertakes to reform Alex to "redeem" him, the novel asks, "At what cost?" 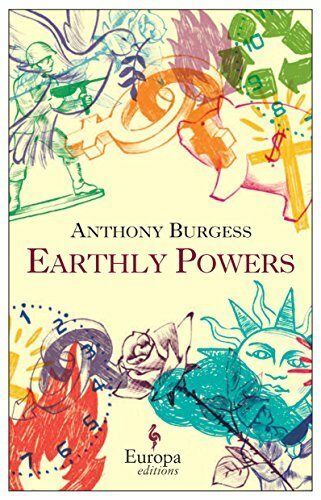 In Earthly Powers Burgess created his masterpiece. At its center are two twentieth-century men who represent different kinds of power—Kenneth Toomey, a past-his-prime author of mediocre fiction, a man who has outlived his contemporaries to survive into, bitter, luxurious old age, living in self-exile on Malta; and Don Carlo Campanati, a man of God, eventually of church revolution and a candidate for sainthood beloved Pope, who rises through the Vatican as a shrewd manipulator to become the architect. Through the lives of these two modern men Burgess explores the very essence of power in a narrative that spans from Hollywood, to Dublin, Nairobi, Paris, and beyond. 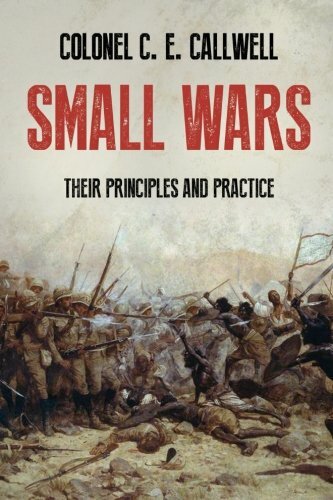 First published in 1896, Small Wars attempts to provide a comprehensive manual for the conduct of campaigns of imperial conquest. C. E. Callwell draws on his own extensive experience as a colonel in the British Army and his vast array of knowledge about contemporary imperial wars to provide a comprehensive account of the strategy and tactics in conducting asymmetric warfare in the age of imperialism. His examples are drawn from a wide assortment of historical conflicts, ranging from Hoche’s suppression of the Vendée revolt in the French Revolution, to mid-19th century Spanish wars in Morocco, to the Boer War of 1899-1902. Throughout, Caldwell advocates the importance of morale over technology and he highlights the many ways in which traditional military theory was unsuitable to the type of guerrilla warfare often fought in the colonies. Only by constant attack and relentless pursuit would victory be achieved. Many of Caldwell’s insights remain valuable today and his teachings could easily be applied to recent conflicts in Afghanistan and Iran. Despite its wide-ranging application, Caldwell was quick to emphasize the sheer diversity of colonial warfare, and inside this volume he provides advice for every eventuality. This classic of military literature is an essential read for anyone seeking to learn more about the nature of war in the years before the First World War. This version is the third revision of the book, original published in 1906. The Queen of Mystery has come to Harper Collins! Agatha Christie, the acknowledged mistress of suspense—creator of indomitable sleuth Miss Marple, meticulous Belgian detective Hercule Poirot, and so many other unforgettable characters—brings her entire oeuvre of ingenious whodunits, locked room mysteries, and perplexing puzzles to Harper Paperbacks. 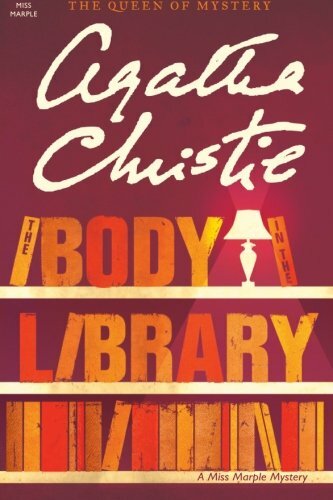 The Body in the Library, dressed in an evening gown and quite dead, is a stranger to the respectable Bantrys…so they invite Miss Marple into their home to investigate. 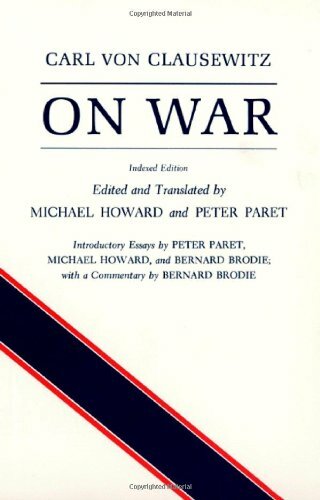 On War is the most significant attempt in Western history to understand war, both in its internal dynamics and as an instrument of policy. 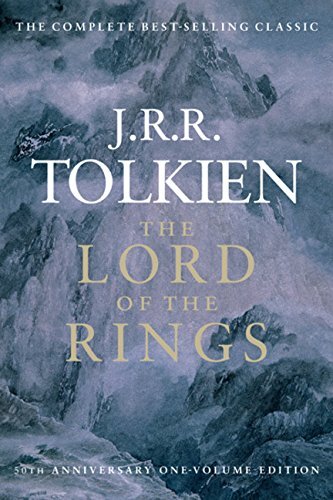 Since the work's first appearance in 1832, it has been read throughout the world, and has stimulated generations of soldiers, statesmen, and intellectuals. 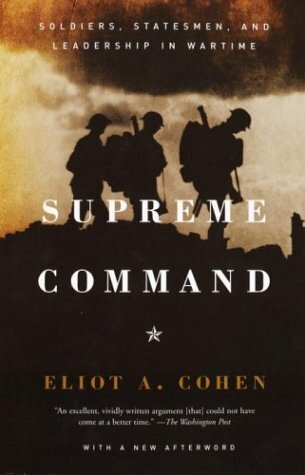 John M. Collins has distilled the wisdom of history’s great military minds to tutor readers on the necessary intellectual skills to win not only battles but also wars. He illuminates practices that worked well or poorly in the past, together with reasons why. He discusses national security interests, strategic building blocks, military strategies across the conflict spectrum, methods for developing talent and strategic acumen, and recent case studies that put principles into practice. 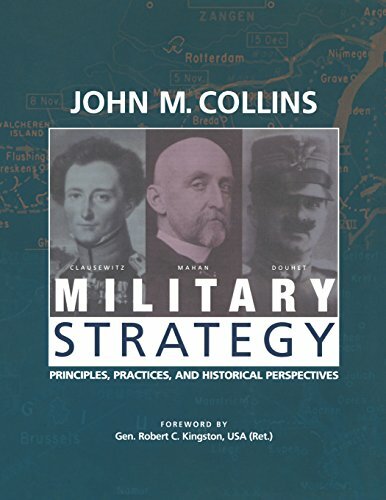 Collins never tells readers what to think, but in Military Strategy he provides them with the intellectual tools to think for themselves. Written in a clear, straightforward style, this book will appeal to officers, policy-makers, students, and the public. 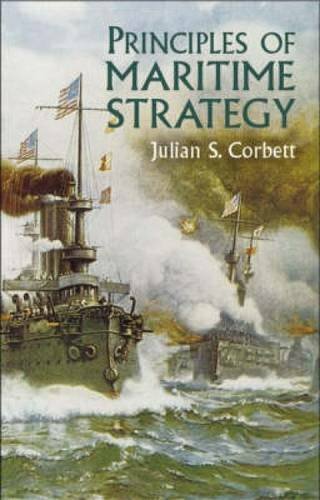 This brilliant exposition established British naval historian Julian Corbett (1854–1922) as one of the great maritime strategists. Corbett placed naval warfare within the larger framework of human conflict, proposing that the key to maritime dominance lies in effective use of sea lines for communications and in denying that use to the enemy. His concept — which regarded naval strategy not as an end in itself but as a means to an end, with that end defined by national strategy — makes this a work of enduring value. Principles of Maritime Strategy emphasizes precise definitions of terminology and ideas as the antidote to loose and purposeless discussion and the direct path to the fundamental data on which all are agreed. As Corbett notes in the Introduction, "In this way we prepare the apparatus of practical discussion; we secure the means of arranging the factors in manageable shape, and of deducing from them with precision and rapidity a practical course of action. Without such apparatus no two men can even think on the same line; much less can they ever hope to detach the real point of difference that divides them and isolate it for quiet solution." Much quoted and referenced, this ever-relevant work is an indispensable resource for military professionals, historians, and students. When war broke out between Britain and the United States in 1812, America’s prospects looked dismal. British naval aggression made it clear that the ocean would be the war’s primary battlefield—but America’s navy, only twenty ships strong, faced a practiced British fleet of more than a thousand men-of-war. Still, through a combination of nautical deftness and sheer bravado, a handful of heroic captains and their stalwart crews managed to turn the tide of the war, besting the haughty skippers of the mighty Royal Navy and cementing America’s newly won independence. 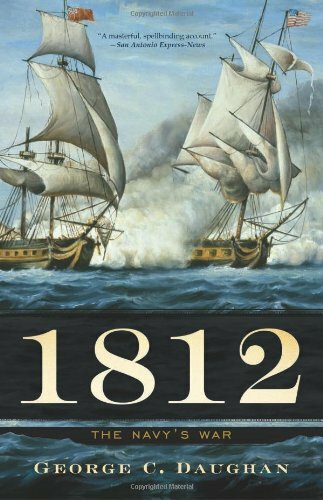 In 1812: The Navy’s War, award-winning naval historian George C. Daughan draws on a wealth of archival research to tell the amazing story of this tiny, battletested team of Americans and their improbable yet pivotal victories. Daughan thrillingly details the pitched naval battles that shaped the war, and shows how these clashes proved the navy’s vital role in preserving the nation’s interests and independence. A stunning contribution to military and national history, 1812: The Navy’s War is the first complete account in more than a century of how the U.S. Navy rescued the fledgling nation and secured America’s future. A stimulating new inquiry into the fundamental truth of strategy - its purpose, place, utility, and value. This new study is animated by a startling realization: the concept of strategic victory must be summarily discarded. This is not to say that victory has no place in strategy or strategic planning. The outcome of battles and campaigns are variables within the strategist's plan, but victory is a concept that has no meaning there. To the tactical and operational planner, wars are indeed won and lost, and the difference is plain. Success is measurable; failure is obvious. In contrast, the pure strategist understands that war is but one aspect of social and political competition, an ongoing interaction that has no finality. 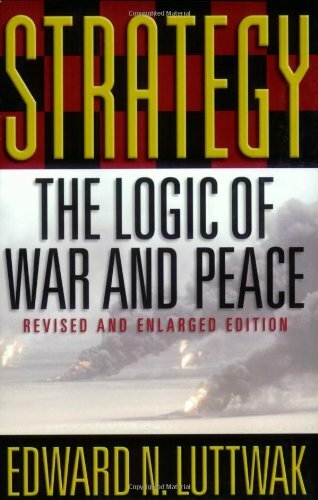 Strategy therefore connects the conduct of war with the intent of politics. It shapes and guides military means in anticipation of a panoply of possible coming events. In the process, strategy changes the context within which events will happen. In this new book we see clearly that the goal of strategy is not to culminate events, to establish finality in the discourse between states, but to continue them; to influence state discourse in such a way that it will go forward on favorable terms. For continue it will. This book will provoke debate and stimulate new thinking across the field and strategic studies. The British Foreign Office is a timeless institution. 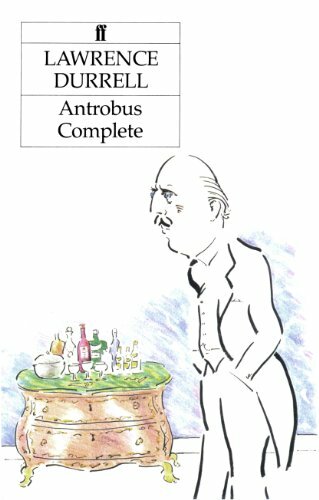 "Antrobus" is the embodiment of everything that makes it what it is. His tales of diplomatic misadventure, accompanied by memorable and witty drawings, make a collection to cherish, for as long as the Foreign Office holds sway over far-flung British interests. "Whatever wars there may be and whatever crises, there will still, please heaven, be the diplomatic corps, with its protocol and formalities and a field of humour which I have never seen better used than in these stories". Bored with their work, three Milanese editors cook up "the Plan," a hoax that connects the medieval Knights Templar with other occult groups from ancient to modern times. 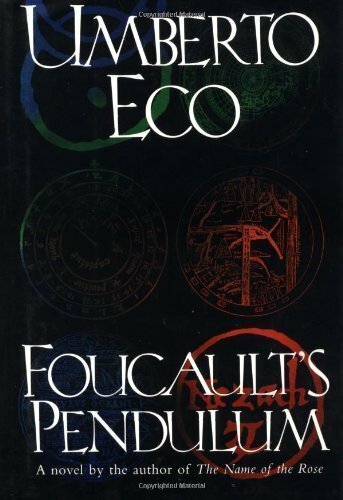 This produces a map indicating the geographical point from which all the powers of the earth can be controlled―a point located in Paris, France, at Foucault’s Pendulum. But in a fateful turn the joke becomes all too real, and when occult groups, including Satanists, get wind of the Plan, they go so far as to kill one of the editors in their quest to gain control of the earth. The range of Freedman's narrative is extraordinary, moving from the surprisingly advanced strategy practiced in primate groups, to the opposing strategies of Achilles and Odysseus in The Iliad, the strategic advice of Sun Tzu and Machiavelli, the great military innovations of Baron Henri de Jomini and Carl von Clausewitz, the grounding of revolutionary strategy in class struggles by Marx, the insights into corporate strategy found in Peter Drucker and Alfred Sloan, and the contributions of the leading social scientists working on strategy today. The core issue at the heart of strategy, the author notes, is whether it is possible to manipulate and shape our environment rather than simply become the victim of forces beyond one's control. Time and again, Freedman demonstrates that the inherent unpredictability of this environment-subject to chance events, the efforts of opponents, the missteps of friends-provides strategy with its challenge and its drama. Armies or corporations or nations rarely move from one predictable state of affairs to another, but instead feel their way through a series of states, each one not quite what was anticipated, requiring a reappraisal of the original strategy, including its ultimate objective. Thus the picture of strategy that emerges in this book is one that is fluid and flexible, governed by the starting point, not the end point. 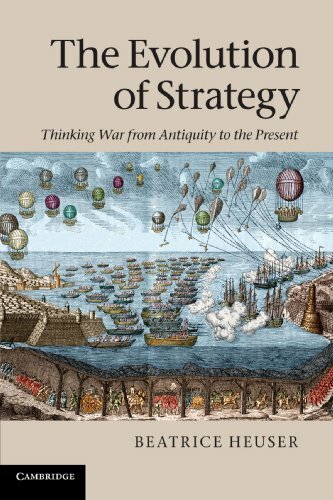 A brilliant overview of the most prominent strategic theories in history, from David's use of deception against Goliath, to the modern use of game theory in economics, this masterful volume sums up a lifetime of reflection on strategy. Why do people go to war? Is it rooted in human nature or is it a late cultural invention? How does war relate to the other fundamental developments in the history of human civilization? And what of war today--is it a declining phenomenon or simply changing its shape? 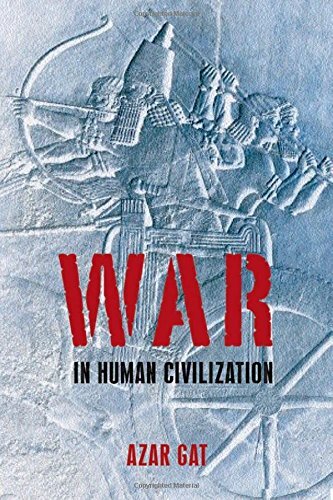 In this sweeping study of war and civilization, Azar Gat sets out to find definitive answers to these questions in an attempt to unravel the riddle of war throughout human history, from the early hunter-gatherers right through to the unconventional terrorism of the twenty-first century. In the process, the book generates an astonishing wealth of original and fascinating insights on all major aspects of humankind's remarkable journey through the ages, engaging a wide range of disciplines, from anthropology and evolutionary psychology to sociology and political science. Written with remarkable verve and clarity and wholly free from jargon, it will be of interest to anyone who has ever pondered the puzzle of war. 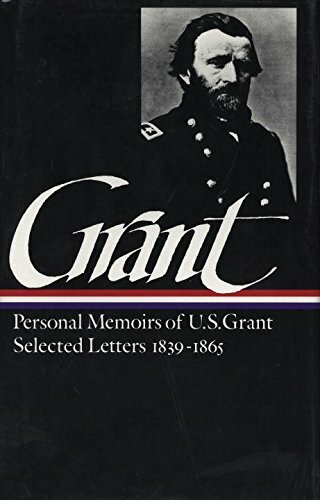 Twenty years after Appomattox, stricken by cancer and facing financial ruin, Ulysses S. Grant wrote his Personal Memoirs to secure his family’s future. in doing so, the Civil War’s greatest general won himself a unique place in American letters. His character, intelligence, sense of purpose, and simple compassion are evident throughout this vivid and deeply moving account, which has been acclaimed by readers as diverse asMark Twain, Matthew Arnold, Gertrude Stein, and Edmund Wilson. Annotated and complete with detailed maps, battle plans, and facsimiles reproduced from the original edition, this volume offers an unparalleled vantage on the most terrible, moving, and inexhaustibly fascinating event in American history. included are 174 letters, many of them to his wife, Julia, which offer an intimate view of their affectionate and enduring marriage. 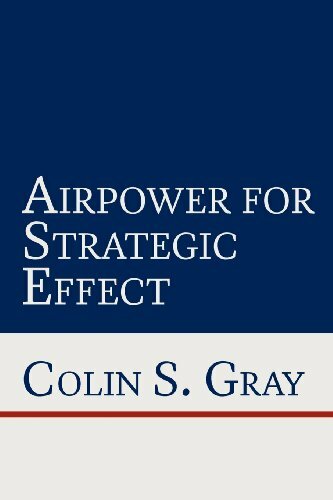 Airpower for Strategic Effect is intended to contribute to the understanding of airpower-what it is, what it does, why it does it, and what the consequences are. This is the plot: airpower generates strategic effect. Airpower's product is strategic effect on the course of strategic history. Everything about military airpower is instrumental to the purpose of securing strategic effect. Strategy is not a modern invention. It is an essential and enduring feature of human history that is here to stay. In this original essay, Colin S. Gray, world-renowned scholar of strategic thought, discusses the meaning of strategy and its importance for politicians and the military as a means of achieving desired outcomes in complex, uncertain conditions. 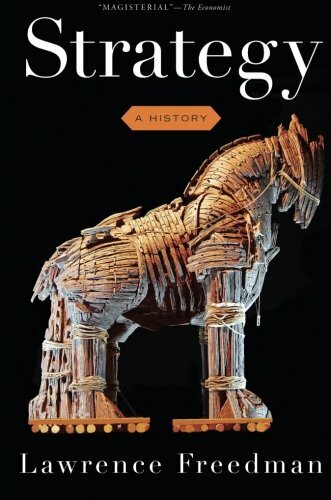 Drawing on a wide range of examples from the Great Peloponnesian War to the Second World War, Vietnam, and the ongoing conflicts in Iraq and Afghanistan, Gray ably shows how great military thinkers of the past and present have acted strategically in their various ideological, political, geographical and cultural contexts. Looking to the future, he argues that strategy will continue to provide a vital tool-kit for survival and security, but that the global threat posed by nuclear weapons remains an on-going challenge without obvious practical solutions. As Gray boldy asserts, there is no promised land ahead, only hard and dangerous times that will require us to master the theory and practice of strategy to secure our own future. Modern Strategy explains the permanent nature, but ever changing character, of strategy in light of the whole strategic experience of the twentieth century. The book is a major contribution to the general theory of strategy; it makes sense of the strategic history of the twentieth century, and provides understanding of what that strategic history implies for the century to come. 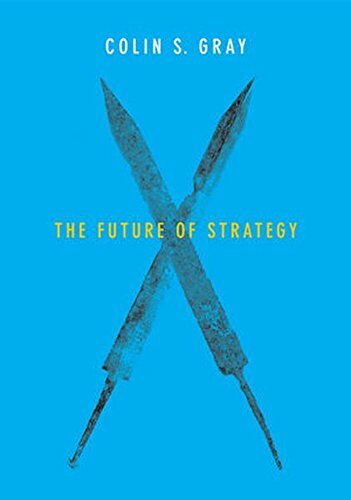 The book offers a uniquely comprehensive analysis of the different facets of modern strategy. The classic writings of Carl von Clausewitz are reconsidered for their continuing relevance, while possible successors are appraised. In addition to arguing that Clausewitz figured out what strategy was, and how it worked, the book probes deeply into strategy's political, ethical, and cultural dimension. 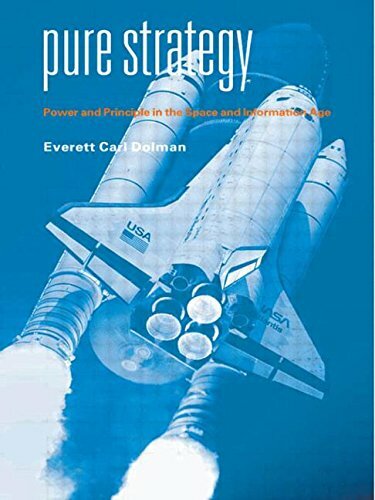 The book explains how strategic behaviour in the twentieth century has expanded from the two-dimensional world of the land and the surface of the sea, to include the ocean depths, the air, space, and most recently the 'cyberspace' environments. It also offers details analyses both of nuclear matters and of the realm of irregular violence. 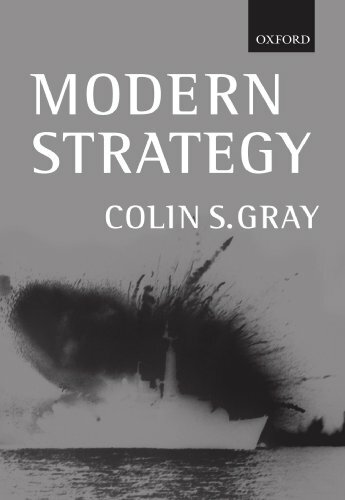 This is the first comprehensive account of all aspects of modern strategy since the Cold War ended and will be essential reading for all students of modern strategy and security studies. 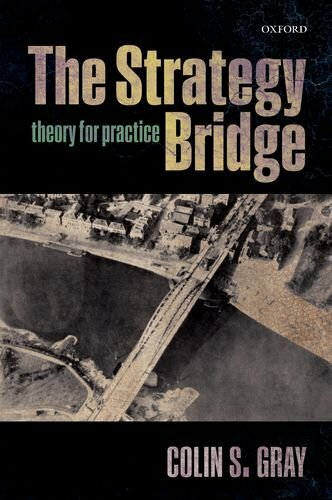 The Strategy Bridge presents the general theory of strategy and explains the utility of this general theory for the particular strategies that strategists need to develop in order to meet their historically unique challenges. 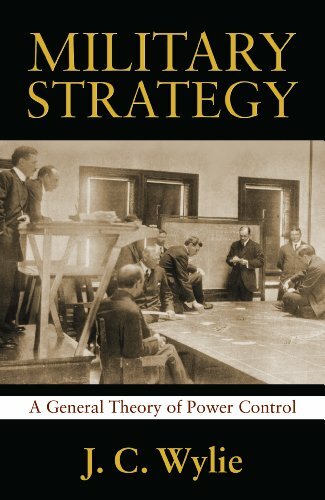 The book argues that strategy's general theory provides essential education for practicing strategists at all times and in all circumstances. 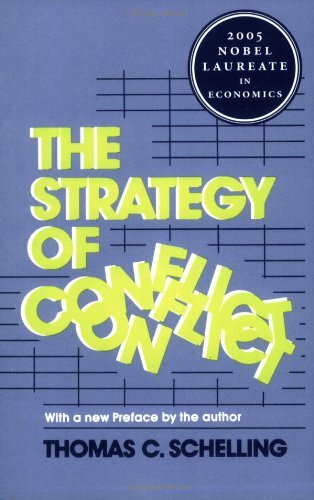 As general theory, The Strategy Bridge is as relevant to understanding strategic behavior in the Peloponnesian War as it is for the conflicts of the twenty-first century. The author takes a holistic view of strategy, and is rigorously attentive to the significance of the contexts within which and for which strategies are developed and applied. The Strategy Bridge regards the strategist as a hero, charged with the feasible, but awesomely difficult, task of converting the threat and use of force (for military strategy) into desired political consequences. The strategist seeks some control over the rival or enemy via strategic effect, the instrumental produce of his instrumental labors. In order to maximize his prospects for success, the practicing strategist requires all the educational assistance that strategic theory can provide. 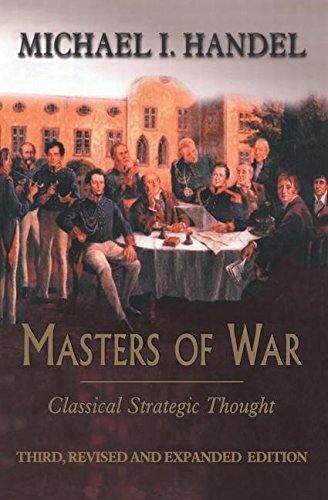 This is the first comprehensive study based on a detailed textual analysis of the classical works on war by Clausewitz, Sun Tzu, Mao Tse-tung, and to a lesser extent, Jomini and Machiavelli. Brushing stereotypes aside, the author takes a fresh look at what these strategic thinkers actually said―not what they are widely believed to have said. He finds that despite their apparent differences in terms of time, place, cultural background, and level of material/technological development, all had much more in common than previously supposed. 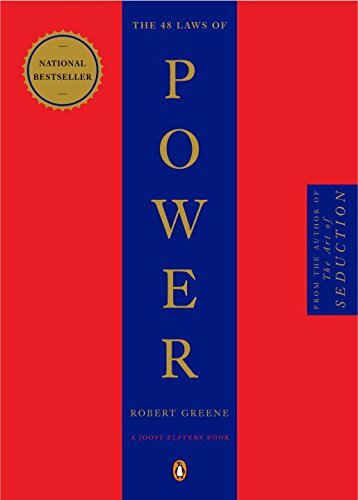 In fact, the central conclusion of this book is that the logic of waging war and of strategic thinking is as universal and timeless as human nature itself. Drawing on his own experience and on the literature of combat from Homer to Michael Herr, Hedges shows how war seduces not just those on the front lines but entire societies—corrupting politics, destroying culture, and perverting basic human desires. 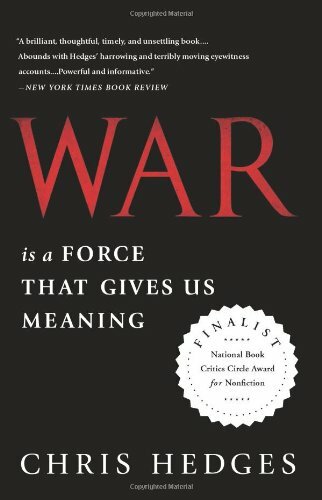 Mixing hard-nosed realism with profound moral and philosophical insight, War Is a Force that Gives Us Meaning is a work of terrible power and redemptive clarity whose truths have never been more necessary. Juan Rico signed up with the Federal Service on a lark, but despite the hardships and rigorous training, he finds himself determined to make it as a cap trooper. In boot camp he will learn how to become a soldier, but when he graduates and war comes (as it always does for soldiers), he will learn why he is a soldier. 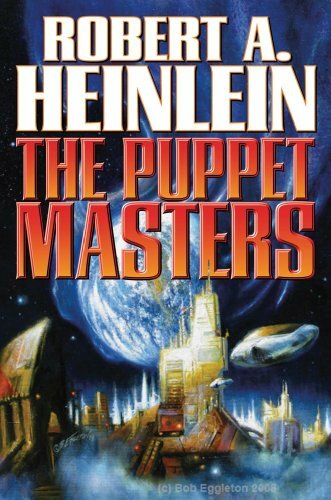 Many consider this Hugo Award winner to be Robert Heinlein's finest work, and with good reason. Except that two agents of the most secret intelligence agency in the U.S. government were on the scene and disappeared without reporting in. And four more agents who were sent in also disappeared. 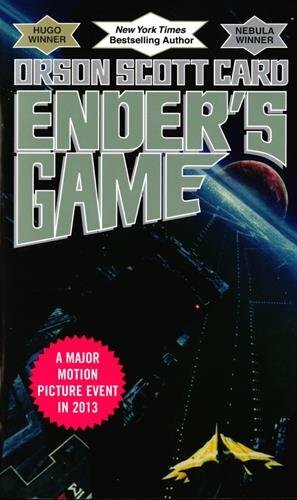 So the head of the agency and his two top agents went in and managed to get out with their discovery: an invasion is underway by slug-like aliens who can touch a human and completely control his or her mind. What the humans know, they know. What the slugs want, no matter what, the human will do. And most of Iowa is already under their control. Sam Cavanaugh was one of the agents who discovered the truth. Unfortunately, that was just before he was taken over by one of the aliens and began working for the invaders, with no will of his own. And he has just learned that a high official in the Treasury Department is now under control of the aliens. Since the Treasury Department includes the Secret Service, which safeguards the President of the United States, control of the entire nation is near at hand . I believe it was Hugh Walpole who wrote, "Life is a comedy to those who think, and a tragedy to those who feel." 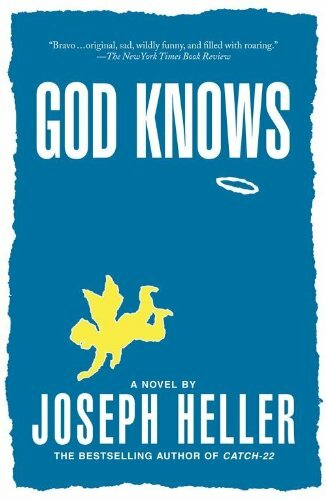 No book illustrates that better than this novel. This truly is one of the funniest books I have ever read. It is also one of the most tragic. 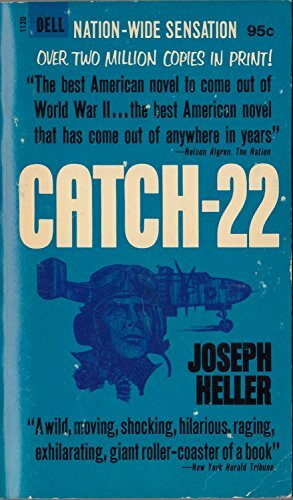 CATCH-22 also introduces one of the most insane collection of great characters in fiction: Yossarian, the Chaplain, Orr, ex-P.F.C Wintergreen, Milo Minderbender, Maj. Major Major Major, Nately, Doc Daneeka, Danby, General Dreedle, Nately's girl (not the description in the book, but Amazon's software will bleep it), Cathcart, Nurse Duckett, The Texan, Major de Coverley, The Soldier in White, and a host of other characters. 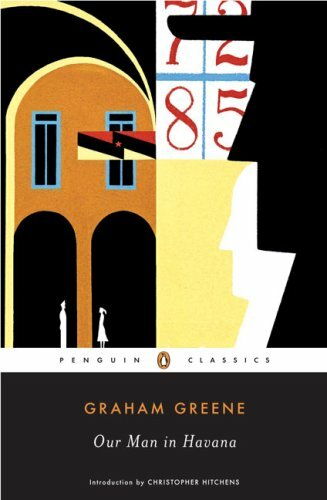 It is one of the most gloriously populated novels of the past half century. 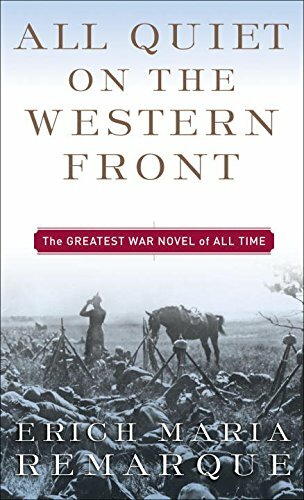 This is a novel I can almost not discuss except through superlatives: greatest war novel I have read, funniest novel I have ever read, greatest English language novel of the past 60 years. But the best thing is that it is, on top of being a superb book, an exceedingly fun book to read. Even at its nightmarish, this is a fun, delightful book. And few novels contain as many unforgettable moments as this one. Is there a 'Western way of war' which pursues battles of annihilation and single-minded military victory? Is warfare on a path to ever greater destructive force? This magisterial new account answers these questions by tracing the history of Western thinking about strategy - the employment of military force as a political instrument - from antiquity to the present day. Assessing sources from Vegetius to contemporary America, and with a particular focus on strategy since the Napoleonic Wars, Beatrice Heuser explores the evolution of strategic thought, the social institutions, norms and patterns of behaviour within which it operates, the policies that guide it and the cultures that influence it. Ranging across technology and warfare, total warfare and small wars as well as land, sea, air and nuclear warfare, she demonstrates that warfare and strategic thinking have fluctuated wildly in their aims, intensity, limitations and excesses over the past two millennia. The Algerian War lasted from 1954 to 1962. It brought down six French governments, led to the collapse of the Fourth Republic, returned de Gaulle to power, and came close to provoking a civil war on French soil. More than a million Muslim Algerians died in the conflict and as many European settlers were driven into exile. Above all, the war was marked by an unholy marriage of revolutionary terror and repressive torture. 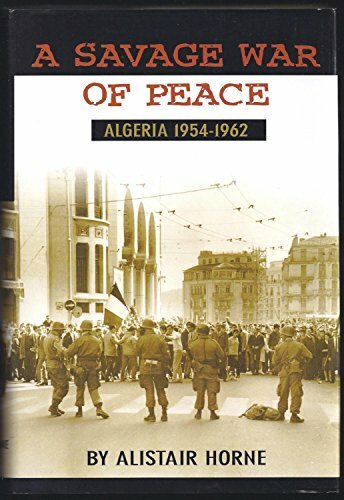 Nearly a half century has passed since this savagely fought war ended in Algeria’s independence, and yet—as Alistair Horne argues in his new preface to his now-classic work of history—its repercussions continue to be felt not only in Algeria and France, but throughout the world. Indeed from today’s vantage point the Algerian War looks like a full-dress rehearsal for the sort of amorphous struggle that convulsed the Balkans in the 1990s and that now ravages the Middle East, from Beirut to Baghdad—struggles in which questions of religion, nationalism, imperialism, and terrorism take on a new and increasingly lethal intensity. A Savage War of Peace is the definitive history of the Algerian War, a book that brings that terrible and complicated struggle to life with intelligence, assurance, and unflagging momentum. It is essential reading for our own violent times as well as a lasting monument to the historian’s art. 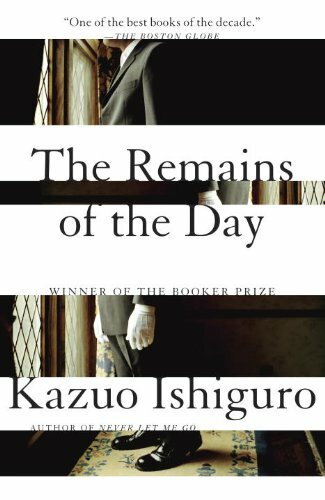 A tragic, spiritual portrait of a perfect English butler and his reaction to his fading insular world in post-war England. A wonderful, wonderful book. As children Kathy, Ruth, and Tommy were students at Hailsham, an exclusive boarding school secluded in the English countryside. It was a place of mercurial cliques and mysterious rules where teachers were constantly reminding their charges of how special they were. Now, years later, Kathy is a young woman. Ruth and Tommy have reentered her life. And for the first time she is beginning to look back at their shared past and understand just what it is that makes them special–and how that gift will shape the rest of their time together. 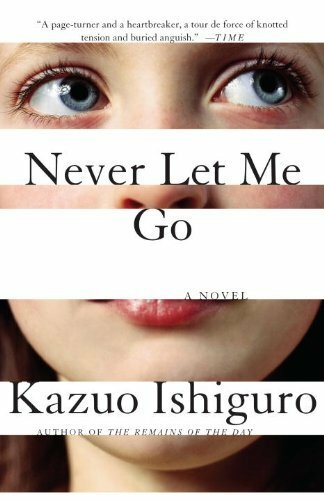 Suspenseful, moving, beautifully atmospheric, Never Let Me Go is another classic by the author of The Remains of the Day. This is an in-depth portrait of a great people, from their fragile origins through their struggles for independence and nationhood, their heroic efforts and sacrifices to deal with the `organic sin' of slavery and the preservation of the Union to its explosive economic growth and emergence as a world power and its sole superpower. Johnson discusses such contemporary topics as the politics of racism, education, Vietnam, the power of the press, political correctness, the growth of litigation, and the rising influence of women. He sees Americans as a problem-solving people and the story of America as "essentially one of difficulties being overcome by intelligence and skill, by faith and strength of purpose, by courage and persistence...Looking back on its past, and forward to its future, the auguries are that it will not disappoint humanity." 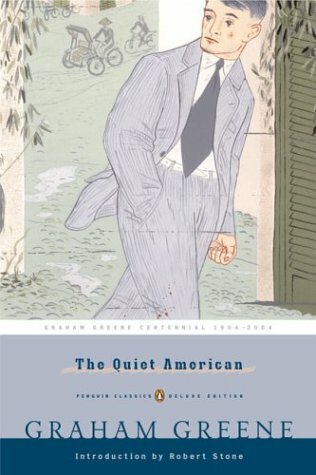 This challenging narrative and interpretation of American history by the author of many distinguished historical works is sometimes controversial and always provocative. 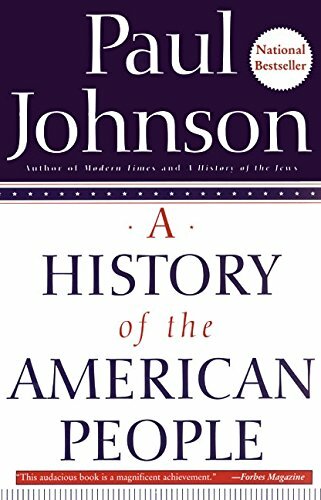 Johnson's views of individuals, events, themes, and issues are original, critical, and admiring, for he is, above all, a strong believer in the history and the destiny of the American people. 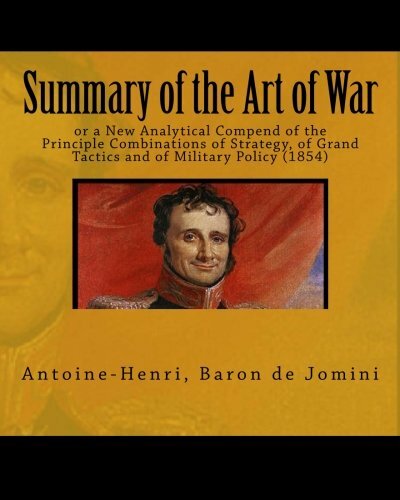 Antoine-Henri, baron Jomini (6 March 1779 – 24 March 1869) was a general in the French and later in the Russian service, and one of the most celebrated writers on the Napoleonic art of war. According to the historian John Shy, Jomini "deserves the dubious title of founder of modern strategy." Jomini's ideas were a staple at military academies. The senior generals of the American Civil War—those who had attended West Point—were well versed in Jomini's theories. The Union Pacific Railroad is renowned as America’s first transcontinental railroad and is one of the strongest companies in the railroad industry today. The laying of the golden spike in Promontory, Utah, in 1869 marked not only the opening of the continent to settlement but also the transformation of the United States from an agricultural nation to an industrial one. 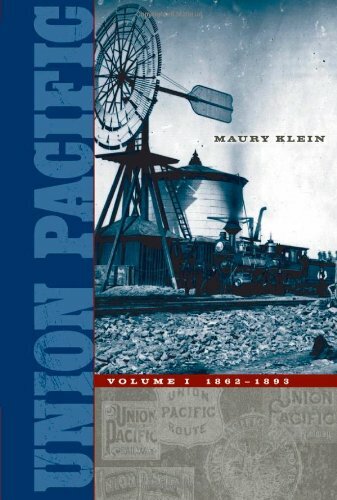 Maury Klein, America’s foremost railroad historian, re-creates the powerful personalities and dramatic events that led to the construction of this legendary railroad. Fully illustrated with over one hundred historic photographs and maps, Union Pacific details the feat of engineering and human strength that conquered the terrain of the desert and mountains and also the colorful wheelings and dealings that were waged in executive boardrooms in New York and Boston and in the chambers of Congress as dreamers and scoundrels, politicians and patriots forged a pioneering enterprise in transportation. 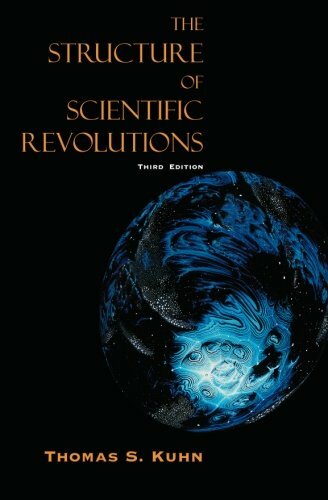 With The Structure of Scientific Revolutions, Kuhn challenged long-standing linear notions of scientific progress, arguing that transformative ideas don’t arise from the day-to-day, gradual process of experimentation and data accumulation but that the revolutions in science, those breakthrough moments that disrupt accepted thinking and offer unanticipated ideas, occur outside of “normal science,” as he called it. Though Kuhn was writing when physics ruled the sciences, his ideas on how scientific revolutions bring order to the anomalies that amass over time in research experiments are still instructive in our biotech age. 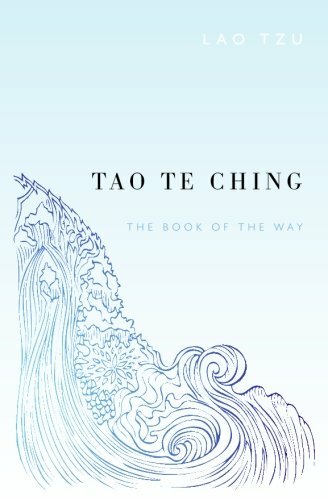 In eighty-one brief chapters, Lao-tzu's Tao Te Ching, or Book of the Way, provides advice that imparts balance and perspective, a serene and generous spirit, and teaches us how to work for the good with the effortless skill that comes from being in accord with the Tao—the basic principle of the universe. Strategy is made of such seemingly self-contradictory propositions, Edward Luttwak shows―they exemplify the paradoxical logic that pervades the entire realm of conflict. In this widely acclaimed work, now revised and expanded, Luttwak unveils the peculiar logic of strategy level by level, from grand strategy down to combat tactics. Having participated in its planning, Luttwak examines the role of air power in the 1991 Gulf War, then detects the emergence of “post-heroic” war in Kosovo in 1999―an American war in which not a single American soldier was killed. 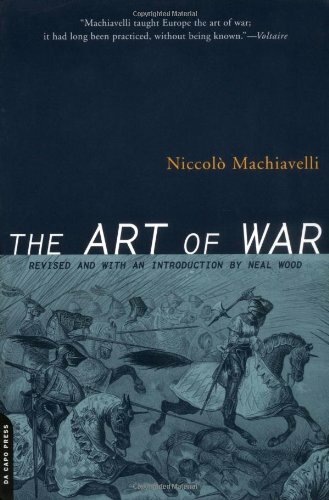 Niccolò Machiavelli's Art of War is one of the world's great classics of military and political theory. Praised by the finest military minds in history and said to have influenced no lesser lights than Frederick the Great and Napoleon, the Art of War is essential reading for anyone who wants to understand the history and theory of war in the West—and for readers of The Prince and Discourse on Livy who seek to explore more fully the connection between war and politics in Machiavelli's thought. 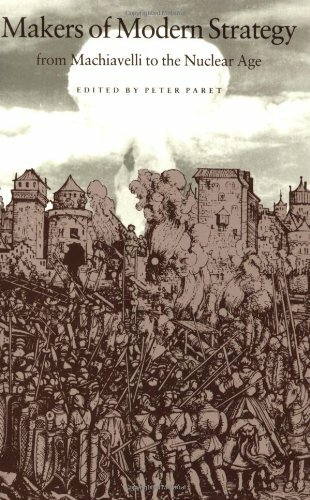 Machiavelli scholar Christopher Lynch offers a sensitive and entirely new translation of the Art of War, faithful to the original but rendered in modern, idiomatic English. Lynch's fluid translation helps readers appreciate anew Machiavelli's brilliant treatments of the relationships between war and politics, civilians and the military, and technology and tactics. Clearly laying out the fundamentals of military organization and strategy, Machiavelli marshals a veritable armory of precepts, prescriptions, and examples about such topics as how to motivate your soldiers and demoralize the enemy's, avoid ambushes, and gain the tactical and strategic advantage in countless circumstances. To help readers better appreciate the Art of War, Lynch provides an insightful introduction that covers its historical and political context, sources, influence, and contemporary relevance. He also includes a substantial interpretive essay discussing the military, political, and philosophical aspects of the work, as well as maps, an index of names, and a glossary. Hailed as one of the finest novels to come out of the Second World War, The Naked and the Dead received unprecedented critical acclaim upon its publication and has since become part of the American canon. 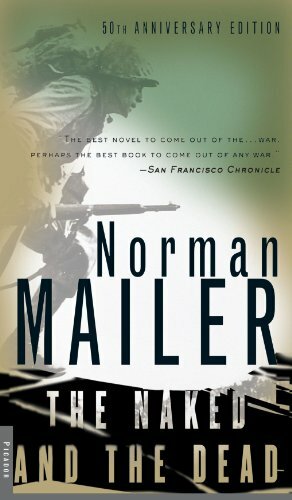 This fiftieth anniversary edition features a new introduction created especially doe the occasion by Norman Mailer. Written in gritty, journalistic detail, the story follows an army platoon of foot soldiers who are fighting for the possession of the Japanese-held island of Anopopei. Composed in 1948, The Naked and the Dead is representative of the best in twentieth-century American writing. Intelligence takes many forms. This exciting study explores the novel insight, based on well-established ethological principles, that animals, humans, and autonomous robots can all be analyzed as multi-task autonomous control systems. Biological adaptive systems, the authors argue, can in fact provide a better understanding of intelligence and rationality than that provided by traditional AI. In this technically sophisticated, clearly written investigation of robot-animal analogies, McFarland and Bösser show that a bee's accuracy in navigating on a cloudy day and a moth's simple but effective hearing mechanisms have as much to teach us about intelligent behavior as human models. In defining intelligent behavior, what matters is the behavioral outcome, not the nature of the mechanism by which the outcome is achieved. Similarly, in designing robots capable of intelligent behavior, what matters is the behavioral outcome. 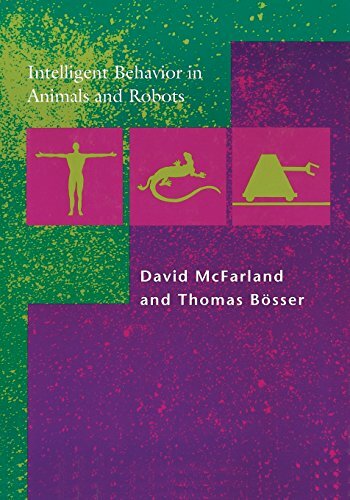 McFarland and Bösser address the problem of how to assess the consequences of robot behavior in a way that is meaningful in terms of the robot's intended role, comparing animal and robot in relation to rational behavior, goal seeking, task accomplishment, learning, and other important theoretical issues. Musashi gives timeless advice on defeating an adversary, throwing an opponent off-guard, creating confusion, and other techniques for overpowering an assailant that will resonate with both martial artists and everyone else interested in skillfully dealing with conflict. 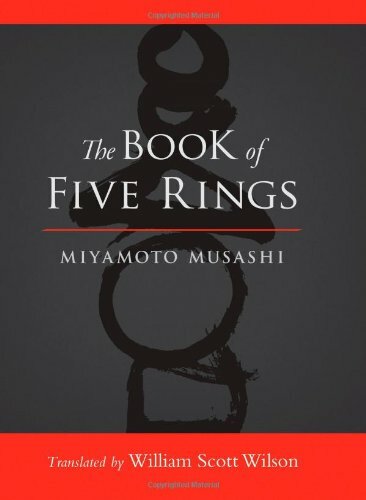 For Musashi, the way of the martial arts was a mastery of the mind rather than simply technical prowess—and it is this path to mastery that is the core teaching in The Book of Five Rings. 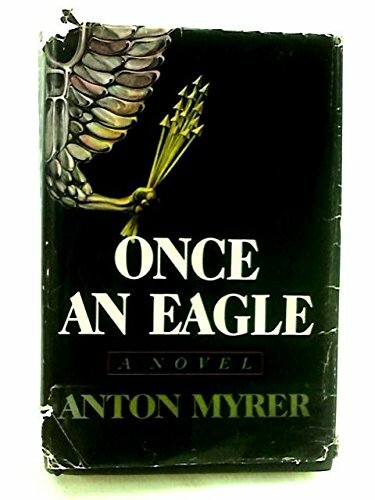 Once an Eagle is the story of one special man, a soldier named Sam Damon, and his adversary over a lifetime, fellow officer Courtney Massengale. Damon is a professional who puts duty, honor, and the men he commands above self-interest. Massengale, however, brilliantly advances his career by making the right connections behind the lines and in Washington's corridors of power. 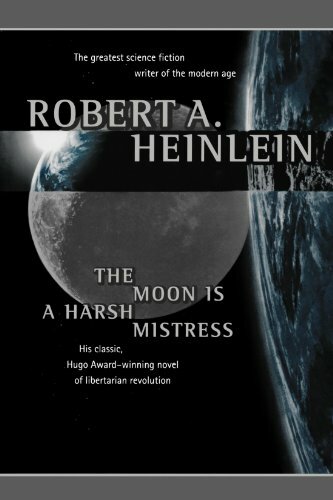 Beginning in the French countryside during the Great War, the conflict between these adversaries solidifies in the isolated garrison life marking peacetime, intensifies in the deadly Pacific jungles of World War II, and reaches its treacherous conclusion in the last major battleground of the Cold War--Vietnam. A study in character and values, courage, nobility, honesty, and selflessness, here is an unforgettable story about a man who embodies the best in our nation--and in us all. Forged during the tumultuous but triumphant postwar years when America came of age as a world power, The Irony of American History is more relevant now than ever before. 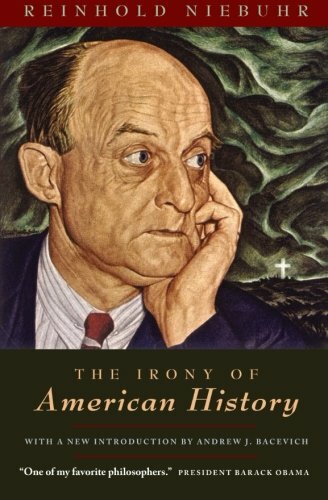 Cited by politicians as diverse as Hillary Clinton and John McCain, Niebuhr’s masterpiece on the incongruity between personal ideals and political reality is both an indictment of American moral complacency and a warning against the arrogance of virtue. Impassioned, eloquent, and deeply perceptive, Niebuhr’s wisdom will cause readers to rethink their assumptions about right and wrong, war and peace. The essays in this volume analyze war, its strategic characteristics and its political and social functions, over the past five centuries. The diversity of its themes and the broad perspectives applied to them make the book a work of general history as much as a history of the theory and practice of war from the Renaissance to the present. Makers of Modern Strategy from Machiavelli to the Nuclear Age takes the first part of its title from an earlier collection of essays, published by Princeton University Press in 1943, which became a classic of historical scholarship. Three essays are reprinted from the earlier book; four others have been extensively revised. The rest - twenty-two essays - are new. The subjects addressed range from major theorists and political and military leaders to impersonal forces. Machiavelli, Clausewitz, and Marx and Engels are discussed, as are Napoleon, Churchill, and Mao. Other essays trace the interaction of theory and experience over generations - the evolution of American strategy, for instance, or the emergence of revolutionary war in the modern world. Still others analyze the strategy of particular conflicts - the First and Second World Wars - or the relationship between technology, policy, and war in the nuclear age. Whatever its theme, each essay places the specifics of military thought and action in their political, social, and economic environment. Together the contributors have produced a book that reinterprets and illuminates war, one of the most powerful forces in history and one that cannot be controlled in the future without an understanding of its past. 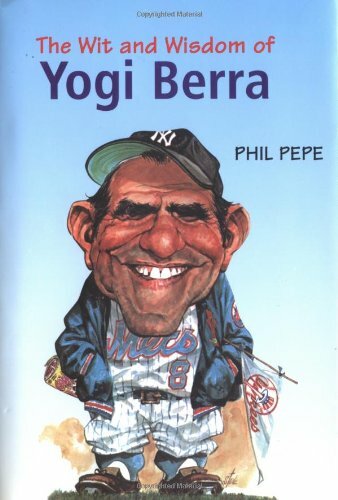 Long after they have forgotten his 15 All-Star Game appearances, his 10 World Championships, and his three MVP honors, sports fans the world over will remember Yogi Berra's famous phrases—helped in part by this compilation. Berra's hilarious and insightful malaprops have become ingrained in everyday language, and this book has captured the stories and history behind each and every one of them. Paul Baumer enlisted with his classmates in the German army of World War I. Youthful, enthusiastic, they become soldiers. But despite what they have learned, they break into pieces under the first bombardment in the trenches. And as horrible war plods on year after year, Paul holds fast to a single vow: to fight against the principles of hate that meaninglessly pits young men of the same generation but different uniforms against each other - if only he can come out of the war alive. "The world has a great writer in Erich Maria Remarque. He is a craftsman of unquestionably first rank, a man who can bend language to his will. Whether he writes of men or of inanimate nature, his touch is sensitive, firm, and sure." After four grueling years, the Great War has finally ended. Now Ernst and the few men left from his company cannot help wondering what will become of them. The town they departed as eager young men seems colder, their homes smaller, the reasons their comrades had to die even more inexplicable. 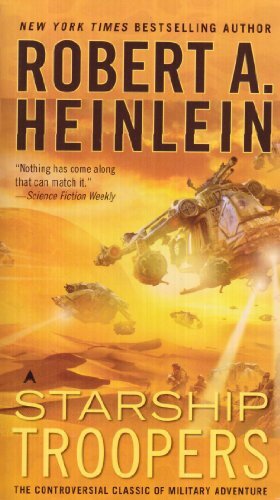 For Ernst and his friends, the road back to peace is more treacherous than they ever imagined. 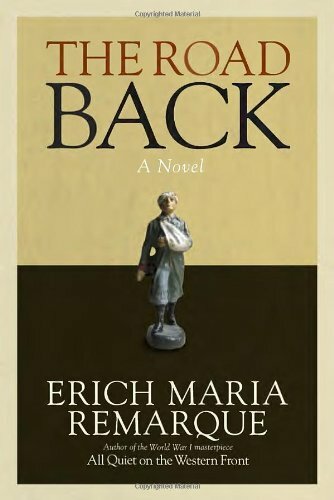 Suffering food shortages, political unrest, and a broken heart, Ernst undergoes a crisis that teaches him what there is to live for—and what he has that no one can ever take away. Traditionally, Americans have viewed war as an alternative to diplomacy, and military strategy as the science of victory. Today, however, in our world of nuclear weapons, military power is not so much exercised as threatened. It is, Mr. Schelling says, bargaining power, and the exploitation of this power, for good or evil, to preserve peace or to threaten war, is diplomacy—the diplomacy of violence. The author concentrates in this book on the way in which military capabilities—real or imagined—are used, skillfully or clumsily, as bargaining power. He sees the steps taken by the U.S. during the Berlin and Cuban crises as not merely preparations for engagement, but as signals to an enemy, with reports from the adversary's own military intelligence as our most important diplomatic communications. Even the bombing of North Vietnam, Mr. Schelling points out, is as much coercive as tactical, aimed at decisions as much as bridges. He carries forward the analysis so brilliantly begun in his earlier The Strategy of Conflict (1960) and Strategy and Arms Control (with Morton Halperin, 1961), and makes a significant contribution to the growing literature on modern war and diplomacy. 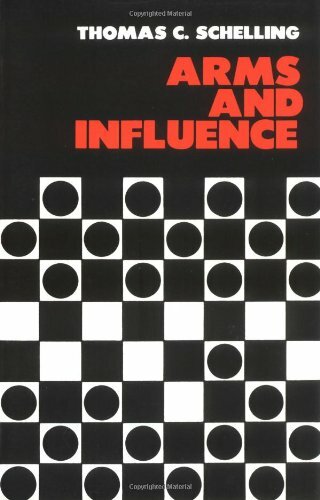 A series of closely interrelated essays on game theory, this book deals with an area in which progress has been least satisfactory—the situations where there is a common interest as well as conflict between adversaries: negotiations, war and threats of war, criminal deterrence, extortion, tacit bargaining. It proposes enlightening similarities between, for instance, maneuvering in limited war and in a traffic jam; deterring the Russians and one's own children; the modern strategy of terror and the ancient institution of hostages. 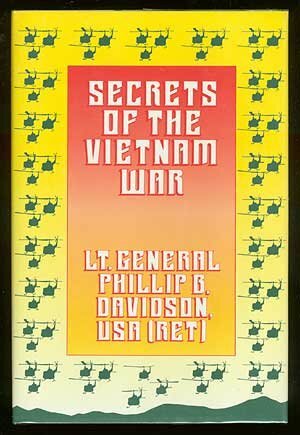 When he came to Vietnam in 1962, Lieutenant Colonel John Paul Vann was the one clear-sighted participant in an enterprise riddled with arrogance and self-deception, a charismatic soldier who put his life and career on the line in an attempt to convince his superiors that the war should be fought another way. By the time he died in 1972, Vann had embraced the follies he once decried. He died believing that the war had been won. 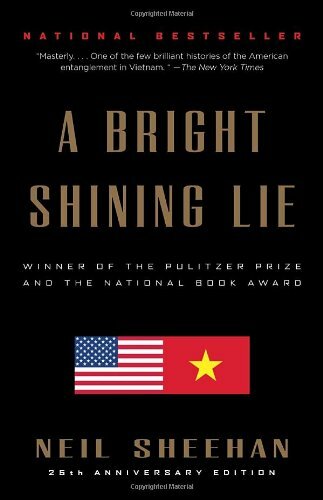 In this magisterial book, a monument of history and biography that was awarded the National Book Award and the Pulitzer Prize for Nonfiction, a renowned journalist tells the story of John Vann - "the one irreplaceable American in Vietnam" - and of the tragedy that destroyed a country and squandered so much of America's young manhood and resources. Field Marshal Viscount Slim (1891-1970) led shattered British forces from Burma to India in one of the lesser-known but more nightmarish retreats of World War II. He then restored his army's fighting capabilities and morale with virtually no support from home and counterattacked. 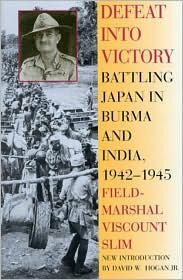 His army's slaughter of Japanese troops ultimately liberated India and Burma. The first edition of Defeat Into Victory , published in 1956, was an immediate sensation selling 20,000 copies within a few days. This is an updated version with a new introduction by David W. Hogan Jr. 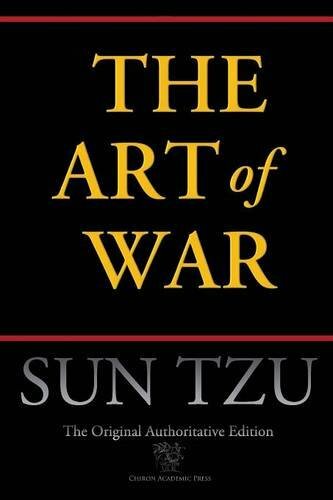 The Art of War (Chinese: 孫子兵法; pinyin: Sūnzĭ bīngfǎ) is an ancient Chinese military treatise attributed to Sun Tzu, a high-ranking military general, strategist and tactician, and kindred to the Realpolitik of his time, termed in China as Legalism. The text is composed of 13 chapters, each of which is devoted to one aspect of warfare. It is commonly thought of as a definitive work on military strategy and tactics. It has been the most famous and influential of China's Seven Military Classics, and "for the last two thousand years it remained the most important military treatise in Asia, where even the common people knew it by name." It has had an influence on Eastern and Western military thinking, business tactics, legal strategy and beyond. Beyond its military and intelligence applications from earliest days to the present time, The Art of War has been applied to many fields well outside of the military. Much of the text is about how to fight wars without actually having to do battle: it gives tips on how to outsmart one's opponent so that physical battle is not necessary. As such, it has found application as a training guide for many competitive endeavors that do not involve actual combat. There are business books applying its lessons to office politics and corporate strategy. Many companies make the book required reading for their key executives. The book is also popular among Western business management, who have turned to it for inspiration and advice on how to succeed in competitive business situations. It has also been applied to the field of education. The Art of War has been the subject of law books and legal articles on the trial process, including negotiation tactics and trial strategy. Abraham Lincoln began his presidency admitting that he knew "but little of ships," but he quickly came to preside over the largest national armada to that time, not eclipsed until World War I. 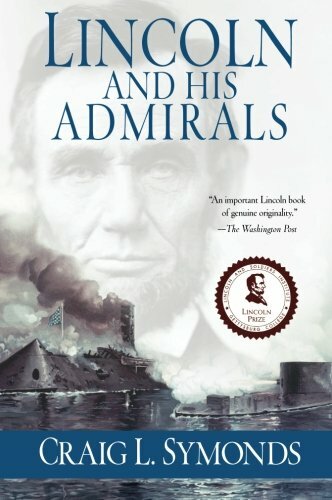 Written by naval historian Craig L. Symonds, Lincoln and His Admirals unveils an aspect of Lincoln's presidency unexamined by historians until now, revealing how he managed the men who ran the naval side of the Civil War, and how the activities of the Union Navy ultimately affected the course of history. Beginning with a gripping account of the attempt to re-supply Fort Sumter--a comedy of errors that shows all too clearly the fledgling president's inexperience--Symonds traces Lincoln's steady growth as a wartime commander-in-chief. Absent a Secretary of Defense, he would eventually become de facto commander of joint operations along the coast and on the rivers. That involved dealing with the men who ran the Navy: the loyal but often cranky Navy Secretary Gideon Welles, the quiet and reliable David G. Farragut, the flamboyant and unpredictable Charles Wilkes, the ambitious ordnance expert John Dahlgren, the well-connected Samuel Phillips Lee, and the self-promoting and gregarious David Dixon Porter. Lincoln was remarkably patient; he often postponed critical decisions until the momentum of events made the consequences of those decisions evident. But Symonds also shows that Lincoln could act decisively. Disappointed by the lethargy of his senior naval officers on the scene, he stepped in and personally directed an amphibious assault on the Virginia coast, a successful operation that led to the capture of Norfolk. The man who knew "but little of ships" had transformed himself into one of the greatest naval strategists of his age. The Strategy of Terror was published in 1940 and played an important role in revealing the nature and methods the psychological warfare waged by Nazi Germany. Only two Americans held positions of great influence throughout the Cold War. The two men embodied opposing strategies for winning the conflict. Yet they dined together, attended the weddings of each other's children, and remained lifelong friends. Paul Nitze was a consummate insider who believed the best way to avoid a nuclear clash was to prepare to win one. George Kennan was a diplomat turned academic whose famous "X article" persuasively argued that we should contain the Soviet Union while waiting for it to collapse from within. 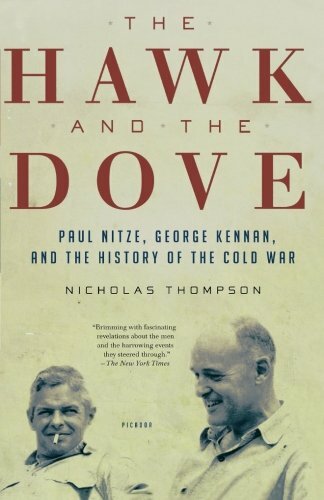 A masterly double biography, The Hawk and the Dove "does an inspired job of telling the story of the Cold War through the careers of two of its most interesting and important figures." Thucydides called his account of two decades of war between Athens and Sparta “a possession for all time,” and indeed it is the first and still most famous work in the Western historical tradition. 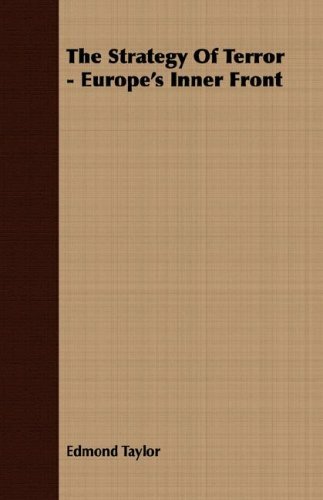 Considered essential reading for generals, statesmen, and liberally educated citizens for more than 2,000 years, The Peloponnesian War is a mine of military, moral, political, and philosophical wisdom. 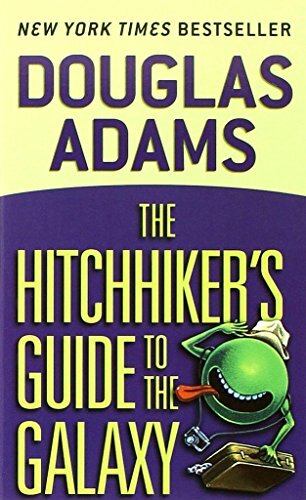 However, this classic book has long presented obstacles to the uninitiated reader. Robert Strassler's new edition removes these obstacles by providing a new coherence to the narrative overall, and by effectively reconstructing the lost cultural context that Thucydides shared with his original audience. Based on the venerable Richard Crawley translation, updated and revised for modern readers. 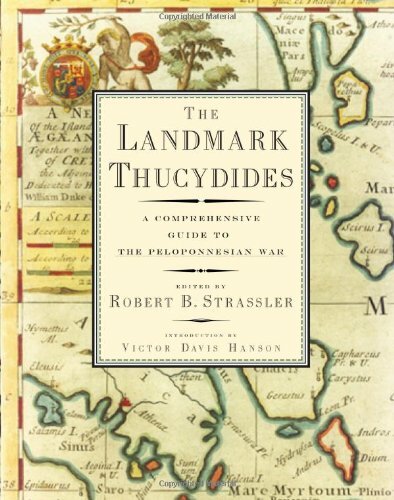 The Landmark Thucydides includes a vast array of superbly designed and presented maps, brief informative appendices by outstanding classical scholars on subjects of special relevance to the text, explanatory marginal notes on each page, an index of unprecedented subtlety, and numerous other useful features. In any list of the great books of western civilization, The Peloponnesian War stands near the top. This authoritative new edition will ensure that its greatness is appreciated by future generations. What is the difference between a promoter and a hustler?" Bill Veeck asks. "Well, let's look at it this way. Neither one of them is an advertiser. An advertiser pays for his space. A promoter works out a quid pro quo . A hustler gets a free ride and makes it seem as if he's doing you a favor." 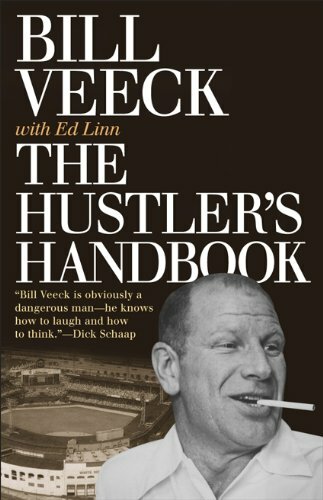 Keep this in mind as Veeck, one of baseball's all–time characters and certainly its best–ever hustler, draws on an apparently bottomless well of stories, anecdotes, theories, and attitudes involving the often bizarre world of major league baseball. And, of course, he's never afraid to speak his mind. The Hustler's Handbook is a rich, hilarious, flagrantly outspoken lesson on how to operate as a hustler in the corporate jungle of modern baseball. Because of his long experience with the formulation of military strategy in the United States, Admiral Wylie’s analyses and opinions are well worth the attention of military professionals, government leaders, newspaper editors, commentators and scholars. Because he has a freewheeling mind and is unhampered by orthodox military terms and the prevailing dogmas, his book will be of keen interest to laymen concerned about our nation’s welfare and future. The word "strategy" pervades American conversation and our news media. We tend to use strategy as a general term for a plan, a concept, a course of action, or a "vision" of the direction in which to proceed at the personal, organizational, and governmental-local, state, or federal-levels. Such casual use of the term to describe nothing more than "what we would like to do next" is inappropriate and belies the complexity of true strategy and strategic thinking. It reduces strategy to just a good idea without the necessary underlying thought or development. 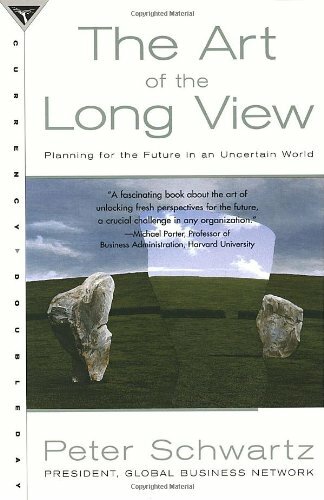 It also leads to confusion between strategy and planning, confining strategic possibilities to near-time planning assumptions and details, while limiting the flexibility of strategic thought and setting inappropriately specific expectations of outcomes. 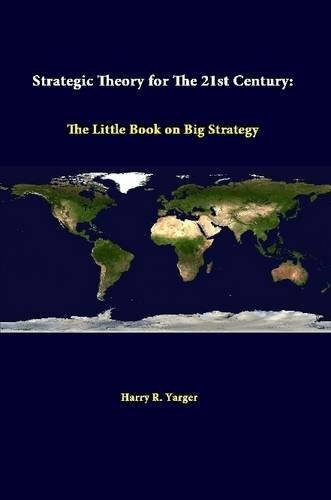 This "little book"-actually a monograph-talks about big strategy, strategy at the highest levels of the nation-state. It is applicable to grand strategy, national security strategy, national military.